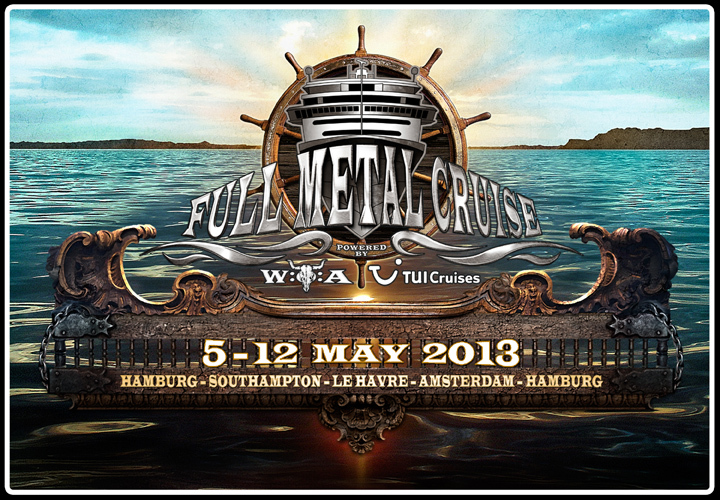 Just a quick update to let you know that DEW-SCENTED have been confirmed for the upcoming Full Metal Cruise, going from May 5th to May 12th, 2013. The cruise’s route is: Hamburg (Germany), Southampton (UK), Le Havre (France), Amsterdam (The Netherlands), and back to Hamburg (Germany). Other bands playing include Kreator, Heaven Shall Burn, Firewind, Sabaton, Gamma Ray, Doro and many more. We truly look forward to joining the Full Metal Cruise 2013 and we promise to thrash the boat at its hardest! Raise the cups! Other than that, we are currently wrapping up the mix for the new studio recordings we just did for a special DEW-SCENTED anniversary release. It’s sounding awesome and the album should be coming out before the summer! Here is an overview of all upcoming confirmed shows so far for 2013: Next up: Tour in France together with NO RETURN and FOR MANY REASONS! * DEW-SCENTED only + many others! DEW-SCENTED to support Testament on European tour in March; Special anniversary release completed! Confirmed for Wacken Open Air 2013; Working on new songs!